TORONTO, CANADA & HINXTON, UK — The Beacon Project of the Global Alliance for Genomics and Health (GA4GH) and ELIXIR, the European infrastructure for life-science data, announced today an expansion of their partnership to improve the discoverability of European genomic data. The Beacon Project is an open sharing platform that allows any genomic data centre in the world to make its data discoverable. It takes a technically straightforward approach whereby users can query an individual beacon to determine whether the associated dataset contains information about a given genetic variant. For example, researchers can ask beacons simple questions like, ‘Do your data resources have genomes with this allele at that position?’ The project is a first-of-its kind effort to make the massive amounts of life sciences data being collected in healthcare and research settings around the globe accessible. To date, 70 beacons have been “lit,” including seven in the UK and another nine across Europe, allowing users unprecedented discovery of genomic variants in national and international cohorts. As a GA4GH Demonstration Project, Beacon represents a central method by which GA4GH is achieving its mission to advance human health through the sharing of genomic and clinical data. ELIXIR unites Europe's leading life-science organisations to manage the increasing volume of biological data now being produced. Currently, there are 20 ELIXIR Nodes across Europe, set up as a distributed infrastructure and coordinated by the ELIXIR Hub based near Cambridge, UK. 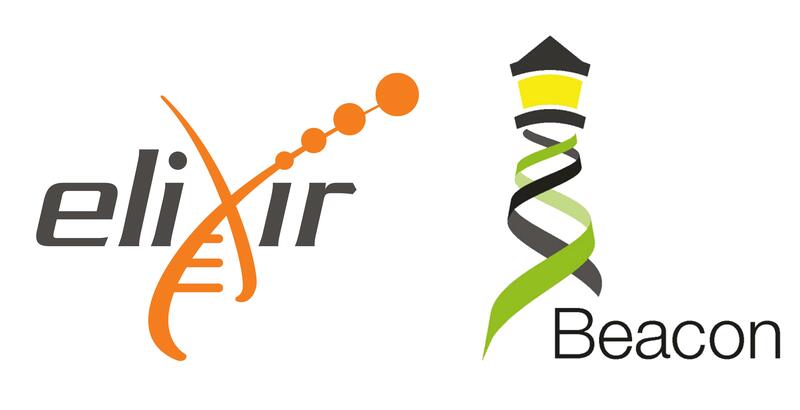 The partnership will build on an existing collaboration between ELIXIR and GA4GH Beacons, which has already resulted in six ELIXIR Beacons in Sweden, Finland, France, Switzerland, Belgium, and in the European Genome-phenome Archive (EGA, a joint project of EMBL-EBI and the Center for Genomic Regulation in Barcelona, Spain). Another ELIXIR Beacon will soon be launched in the Netherlands. “The expanded partnership will bolster the existing network by dedicating unprecedented resources to drive Beacon development, increasing both the discoverability of European data as well as the overall diversity of genotypes found in Beacons,” said Project Co-Lead Marc Fiume of DNAstack, which develops the Beacon Network (beacon-network.org). The ELIXIR Beacon Network will use the ELIXIR Authentication and Authorization Infrastructure (AAI) to streamline access to the data in a secure and safe manner. “The Beacon project is laying the foundation for a global search engine for genomic information,” said Fiume. “The ELIXIR partnership will allow us to significantly accelerate our mission to globalize a secure, federated ecosystem for genomics data discovery." The technical advances that emerge from the partnership will feed back into the Beacon Project as a whole and will enable secure federated sharing across the global Beacon Network, which now includes Beacons on every continent.